If you’re putting things in a storage unit that you want to deal with much later, then you could probably go to any facility that offers a good deal. However, if you’re going to be storing things that you a plan on taking out on a regular basis like holiday decorations or winter clothing, then you should pick a facility that is close to your home. You don’t want to drive for miles just to get a box of Christmas lights. Storage facilities offer everything from basic garage type storage to climate-controlled units. Summer indoors and several floors up all others are outside and on the ground. 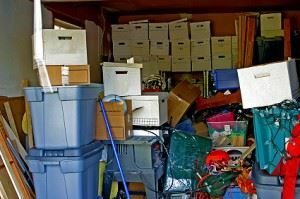 You need to think about what you’re putting in storage and the potential for damage. Although the storage facility might not admit that your items could get damage issues like flooding from rain and melted snow could cause trouble with those ground units. You definitely want a storage facility that is monitored around the clock. You should be able to review a facility security system. Asked to actually see how they record their property. If what you see are blurry images, then it’s not to be any help. Also, make sure that the storage unit you’re renting is in view of whatever security cameras they have set up. You need to gauge how big a storage unit you need based upon what you putting inside. It might be helpful to go one size up just to make sure you have room for everything. That also allows extra space to create rows. That’s very helpful for access to your property. You should also minimize what you put into that unit by clearing out the clutter first. You don’t want to pack up junk and pay rent keep it in storage. One call to Junk King Albany can help with that. As you separate all the things you want to put in storage from the stuff you want to toss out you’ll create a nice pile of rubbish. Junk King Albany will send over a team to pick up that rubbish and loaded onto the truck for fast disposal. Junk King Albany will make sure you don’t pack up clutter in your storage unit. This entry was posted in Albany Junk Removal and tagged clutter, Junk King Albany, rubbish, storage unit on July 31, 2017 by Junk King. Last updated July 31, 2017 .